A. Arato, Post Sovereign Constitution Making: Learning and Legitimacy. OUP, 2016; A. Arato, The Adventures of the Constituent Power: Beyond Revolutions? CUP, 2017; J. Colón-Ríos, Weak Constitutionalism: Democratic Legitimacy and the Question of the Constituent Power. Routledge, 2012. What makes a constitution democratically legitimate? What kind of constitution making process is more likely to yield democratic and constitutionalist outcomes? These are two of the central questions guiding the work of Andrew Arato. With the recent publication of Post Sovereign Constitution Making and The Adventures of the Constituent Power, Arato significantly advances his decades long project of a normatively informed sociology of constitutional change. His main argument is historical in character: a post sovereign model of constitution making has emerged “out of the adventures of the revolutionary and populist idea of the sovereign constituent power”1. However, this is also an argument with normative implications: the fundamental weakness of sovereign constitution making is its elective affinity to dictatorship2, a political danger made evident by the history of modern revolutions. To the contrary, the post sovereign paradigm’s transcendence of the revolutionary and populist logics of political action offers an alternative conception of the constituent power that is “more faithful to the values of both democracy and constitutionalism”3. For Arato, the study of these two models of constitution making is highly relevant: “constitution making and remaking pertains to the highest level of law making, the political design and allocation of power within a polity. How one understands the process, its structure, participants, and purpose matters a great deal and the stakes are high indeed”4. Arato has been claiming for a while that “two great models of constitution making are in competition today”5. The first of them is the sovereign model. Following Arato, this model “involves the making of the constitution by a constitutionally unbound, sovereign constituent power, institutionalized in an organ of government, that at the time of this making unites in itself all of the formal powers of the state, a process that is legitimated by reference to a supposedly unified, preexisting popular sovereignty”6. This model of democratic constitution making is very much alive in places like the Andean region of Latin America or in those countries of northern Africa and the Middle East that were recently transformed under the influence of the Arab Spring. Though Arato identifies Rousseau as the intellectual founder of sovereign constitution making, he argues that the basic characteristics of this model were more fully developed, first, by E.J. Sieyès, and then by Carl Schmitt, who reinterpreted and radicalized the ideas of the author of the famous revolutionary pamphlet What is the Third Estate?7 However, he also claims that the most lucid contemporary representative of this tradition of political thought is Joel Colón-Ríos, whose book Weak Constitutionalism is seen by Arato as a continuation of all the key Schmittian themes: “the priority of the sovereign constituent power to constitutions, and its survival under them; the impossibility and undesirability of any limitation of the constituent power of the people, the absence of any definitive procedure by which the constituent people must act, the sovereign dictatorship of the constituent assembly; the limitation of the amending power; the depiction of representation as democratically deficient; and, as against Lawson and Locke, the absence of any need to justify the activation of the constituent power”8. Post sovereign constitution making has emerged as an alternative to the historical dominance of the sovereign paradigm. It made its initial appearance in the Spanish transition to democracy of the 1970s. Then, it became instrumental in the fall of the Communist regimes of Central Europe during the so-called Revolutions of 1989. But it was only with the process that led to the adoption of the South African Constitution of 1996 that this model was finally perfected. It represents a new conception of democratic constitution making in which the constituent power survives, but this time as a “post sovereign, pluralistic, always limited power whose authority is due both to its legitimacy and, even during legal breaks, its legality”9. This new conception of the constituent power takes distance from traditional ideas about sovereignty and aligns itself with a conception of democracy understood as a type of society in which the locus of power is, and should remain, an empty place10. Contrary to other types of societies structured around the existence of a sovereign whose powers are unlimited, indivisible, and perpetual11, and that assume that power should be embodied in a person, an institution, or an organic totality, this new model of constitution making builds upon Arendt’s warning about the problematic revolutionary obsession with finding “a new absolute to replace the absolute of divine power”, an impossibility under modern conditions of human plurality12. In a democracy, power is always limited and divisible in order to allow for its periodical redistributions in accordance with the irreducible conflict and competition that characterize a pluralistic and heterogeneous society. In this sense, the post sovereign model of constitution making goes beyond the historical inversion of sovereign power that took place with the great modern revolutions13. While in the sovereign model the absolute powers of the prince are now in the hands of a romanticized version of the people14, in the post sovereign model the popular sovereign turns into an “absent god” that cannot be embodied by any single institution such as a constituent assembly or any single person such as a constituent president, to mention just two of the possible ways in which this embodiment takes place within the practice of sovereign constitution making. That is, within this emerging paradigm no one can claim to have absolute powers. Therefore, popular sovereignty is better understood mostly as “a negative principle, one that implies a built-in critique of all forms of usurpation and popular dictatorship”15; it is meant to “block the claim that those with political power have the right to act with the plenitude of power, as if they were the people or the nation”16. The key difference between these two models derives from the role they assign to the principle of legality during processes of constitution making. This is a difference that goes a long way towards explaining their respective democratic strengths and weaknesses. While the sovereign model excludes legality from the process of constitution making17, the post sovereign model insists on the importance of keeping the process always under the law18. That is, the fundamental idea of this alternative model is to apply constitutionalism “not only to the result but also to the process of constitution making”19. However, to understand the full extent of the undemocratic consequences produced by the sovereign model’s rejection of the principle of legality, perhaps it is a good idea to analyze in more detail the work of Colón-Ríos. This is important for a variety of reasons: first, because Colón-Ríos is very aware of the risks implied by the theory he defends20, so only by going back to his work it is possible to understand why he still insists on the democratic potentials of the sovereign model; second, because even though Arato is correct in highlighting the differences between the two models, one cannot help the feeling that his critique does not make fully explicit the similarities between their conceptions of democratic legitimacy and those of their overall political projects; and, third, because a review of the work of Colón-Ríos makes it easier to grasp the size of the contribution that Arato’s reconstruction of the post sovereign model has made not only to the discipline of comparative constitutional studies, but also to political actors committed to the advancement of democratic practices in their respective societies. Colón-Ríos, just as much as Arato, seeks a way out of the failure of constitutional theory to take seriously the need to open spaces for the participation of ordinary citizens during those extraordinary moments in which societies engage in constitutional politics. Without spaces for meaningful participation in the formulation of fundamental laws the democratic legitimacy of constitutional regimes falls into question. Therefore, a truly democratic constitutional regime needs to “provide an opening, a means of egress, for constituent power to manifest from time to time”; it has to make available to the citizens “the means to propose, deliberate and decide upon important constitutional transformations through extraordinary mechanisms that work independently of a constitution’s ordinary amendment procedure”21. Contrary to the dominant view in Anglo-American constitutionalism that restricts the exercise of the constituent power to situations of extreme governmental abuse, Colón-Ríos rescues from recent Latin American constitutional history the open possibility of exercising this power at any moment in time22. Rather than taking advice from the writings of Lawson and Locke, Colón-Ríos prefers to embrace the more radical conception of the constituent power developed by E.J. Sieyès and Carl Schmitt23, which has been greatly influential in countries like Colombia and Venezuela, especially with the judiciary24. According to Colón-Ríos, both Sieyès and Schmitt “insisted that constituent power could not be limited by law or regulated by any legal procedures; the will of the constituent subject was to be seen as an unmediated will”. In this sense, the constituent power exists in a state of nature; at the moment of its activation the constituent power gives place to a revolutionary hiatus during which the sovereign subject is free to reconstitute the existing political regime. However, as Colón-Ríos shows following the lead of Carl Schmitt, “even though the initiation of an exercise of constituent power could not be limited by any rules or institutions, the ‘execution and formulation’ of the decisions of the constituent subject require certain organization and procedures”. And in the context of democratic politics, the national constituent assembly is the paradigmatic form for the organization and execution of the political will of the sovereign people25, though not necessarily the only one, as Schmitt well knew. In order to function as a truly democratic institution for the execution of the people’s constituent power, constituent assemblies cannot be conceived as representative institutions. Constituent power can only be delegated, which means that constituent assemblies should not have the power to adopt a constitution by themselves. Or, to put it more clearly, constituent assemblies are not sovereign. Their role is to present the draft of the new constitution to the true sovereign – i.e. the people – for ratification, typically by means of a referendum26. However, this is not enough to satisfy the requirements of democratic legitimacy of the version of the sovereign model that Colón-Ríos develops under a different name, i.e. weak constitutionalism. First, this model requires a constitution making body that is completely free to draft any constitution it wants27. This means that the assembly should not operate under any limitations besides those imposed by the people themselves, and that its decisions are not subject to review by outside institutions such as constitutional courts. Second, the sovereign model also requires that “the process that leads to the convocation of the assembly, the drafting of the constitution, and the decision of whether to accept or not its proposals must be as open and participatory as possible”28. Regarding the process that leads to the convocation of the assembly, Colón-Ríos argues for the establishment of significant requirements regarding the way the delegates to the assembly are to be elected and on the participation of non-delegates in the deliberative process. In order to increase the levels of inclusion and pluralism of the assembly, an electoral system based on the principle of proportional representation within a single national electoral district should be adopted. This allows for a more broadly representative constituent assembly since it makes it easier for minorities and social movements to gain seats and have an institutional voice throughout the process29. These measures should be reinforced by denying current state officials the possibility of sitting as delegates, allowing non-delegates to submit proposals that the assembly cannot easily choose to ignore, and by taking the deliberations outside the walls within which the assembly convenes in order to increase the participation of civil society30. Finally, Colón-Ríos proposes that the assembly should have unlimited competence to make any change to the constitution, and that the citizens should have a say in accepting or rejecting the changes that it proposes. Constitutions are democratic to the extent that the process through which they are created is highly participatory and can be initiated even against the will of the government or the letter of the rules of amendment. From Colón-Ríos’ perspective, this is precisely the democratic promise of his attractive version of the sovereign model of constitution making. Yet, despite its promises to infuse democratic legitimacy to the constitution by opening the door to participatory processes of constitutional change, this model is not exempt of risks. The insistence on the creation of a revolutionary hiatus in which the subject of the constituent power is free to make any changes to the constitution, “no matter how fundamental”, is clearly the first source of concern: “It is true that it could result in the abolition of democracy (and of the rights and institutions that are necessary for any democratic exercise) (…), but if it does, it would destroy its very democratic legitimacy, together with that of the constitutional regime”31. However, Colón-Ríos refuses to share the fear of the people characteristic of the liberal tradition. Constituent power is not a threat; instead, it rests “on the assumption that a democratic people, acting through inclusive and participatory procedures, would not seek to constrain their future ability to participate in the creation or re-creation of their constitution”32. But this assumption is precisely the main problem of this model: it instantly brings to mind Rousseau’s famous and controversial assurances about the logical impossibility of a general will that turns against the freedom and equality of the citizens33. The theory and practice of sovereign constituent power is full of examples about the ways in which the unconstrained political impulses of the citizens can easily fail to comply with the conditions of legitimacy prescribed by Colón-Ríos. Sieyès, for instance, provided the first textbook example on how one segment of political society – be it the majority or a minority – can usurp the constituent power to make a constitution by means of exclusion and polarization. This model of constitutional change tends to assume, right from the start, the existence of a social and political divide that opposes two groups competing for political power. Most of the time, as in the populist tradition, this is the opposition between the people and the oppressive elites. It also assumes that the people can act as a unified entity that is capable of expressing a single will, i.e. that the interests of this very complex majority represented by the idea of the people can be expressed coherently and without contradictions. Sieyès claimed that the upcoming bourgeoisie of his time was the true representative of the nation, with “no other interest than that of the rest of the people”34. This assertion, however, is problematic. In fact, it reveals the potentially exclusionary character of this model of constitutional change: the will of the people would not only ignore what the privileged orders have to say; it will also favor the interests and opinions of those claiming to speak for the people at the expense of the complexity, heterogeneity, and pluralism that characterizes the popular majority. Another way in which this model of constitution making can go wrong has to do with its affinities with plebiscitary presidentialism. The leadership of populist presidents during moments of extraordinary constitutional politics should be a matter of concern. These “constituent presidents” think of themselves as the vessels through which the political will of the popular sovereign should be expressed35. They tend to provide the impulse for the initiation and completion of significant processes of constitutional change, and their power allows them to play a leading role in the crafting of the rules by which the members of the assembly are to be elected. If not a part of the theory of constituent power developed by Colón-Ríos, it is clearly a fundamental part of its practice, as the cases of Venezuela and Ecuador show. Just like Colón-Ríos, the populist leaders of these Andean countries seem to have found useful advice in Schmitt’s theory of the constituent power, but unlike the former, they have ignored the problems that plebiscitary presidentialism poses to democratic practice. According to Schmitt, only the president, elected by the whole of the people to represent them as a political unity, has the capacity to establish direct and uncontaminated relationships with the popular sovereign, making this office the most suitable for the expression and realization of the constituent power36. But this is highly problematic from a democratic perspective. As Andreas Kalyvas has shown, Schmitt renounces the political significance of speech as a means of will formation. For him, the sovereign can consent but not decide. It is speechless, only capable of acclamation37. Schmitt’s plebiscitary presidentialism comes very close to the model of delegative democracy in which “the president is taken to be the embodiment of the nation and the main custodian and definer of its interests (...) After the election voters/delegators are expected to become passive but cheering audiences of what the president does”38. Passivity and speechlessness, however, add little to the project of securing the political power of the people and preventing its usurpation by the “invisible and irresponsible social powers” that Schmitt already recognized as capable of misdirecting and misrepresenting the voice of the popular sovereign39. As Colón-Ríos recognizes, an unmediated expression of the people’s political will is not necessarily democratic. Actually, it seems to be an impediment for the introduction of dialogue and the inclusion of the greatest number of participants in the process of deciding upon the fundamental characteristics of the political regime40. The problems of this model were more than evident during the process that led to the adoption of the Venezuelan Constitution of 1999. The constitutional rupture that took place in this country received its main impulse from the charismatic figure of Hugo Chávez. Acting as a constituent president, he called for a referendum against the letter of the rules of amendment existing at the time in order to convene a constituent assembly. He also unilaterally imposed the rules through which this assembly was to be elected in direct confrontation with the constituted powers of the time, which he depicted as representatives of the corrupt and oligarchic order that the country needed to leave behind. His popularity was the source of the electoral majority that gave his political movement control over the constituent assembly. Finally, he had a great deal of influence upon its deliberations. The result: a partisan constituent assembly under presidential control that used its sovereign prerogatives to constitute an exclusionary political regime that granted great powers to the executive and planted the seeds of a constitutional crisis like the one Venezuela experiences to this day. The undemocratic features of the Venezuelan constitution making process have not gone unnoticed by other constitutional theorists that share Colón-Ríos’ radical democratic convictions. However, they have downplayed their importance in order to highlight the democratic potentials of the sovereign model, which they correctly perceive to have been obscured by the one-sided criticisms of liberal constitutional theorists41. It can be argued that revolutionary processes of this sort are sometimes necessary when those in power make it impossible to enact democratic reforms. For instance, it is undeniable that the Venezuelan process made possible the political inclusion of segments of society that were systematically excluded by the previous regime. It is also evident that this process created the conditions for a radical transformation of social and economic structures that deviated from the prescriptions of the neoliberal cannon. But the promise of radical political and economic change is not enough to propose the sovereign model as a desirable paradigm of democratic constitution making, especially when history shows that revolutions are generally unable to provide an answer to the social question that does not lead to new forms of inequality and injustice, and, as a response, to new cycles of resistance and repression42. The main elements of the sovereign model were all present in the Venezuelan process. However, Hugo Chávez adopted very few of the additional prescriptions offered by Colón-Ríos to secure its democratic legitimacy: the participation of the citizens took place mostly through the democratically deficient mechanism of the referendum; the electoral rules through which the assembly was composed were strictly majoritarian and therefore exclusionary; and the constituent assembly remained in place even after the citizens voted to ratify the constitution. So, not only was the composition of the assembly undemocratic; contrary to Colón-Ríos’ prescriptions, the assembly ended up as a sovereign dictator that continued to transform the political regime without subjecting its decisions to the approval of the people43. In the end, the constituent power was exercised arbitrarily, that is, against the procedural limitation that establishes the need to include in the constitution making process “all those who will become subject to the constitutional regime”44. A democratic theory of constitution making should not be blind to the ways in which the Venezuelan process went wrong. In the end, the basic idea of the sovereign model, i.e. the normative defense of a revolutionary hiatus in which legality has to yield to politics, was what justified the Chavista populist revolution’s disregard of the input of the constituted powers of the time and its total exclusion of a broad segment of political society from the process. As Arato rightly observes, one important problem with Colón-Ríos’ theory of constitution making “is that he seems to consider illegitimacy, as he defines it, to be an argument with almost automatic causal effects”45. But then an important question emerges: what are the practical consequences of the consolidation of a wide public consensus about the illegitimate character of a political regime like the one that exists in Venezuela today? Colón-Ríos’ commitment to the principle of democratic openness prevents him from accepting the need to impose positive rules to avoid the risks of democratic autophagy. Democracy is for him “the regime of self-limitation”. It implies risks that a democrat “has no choice but to accept”. In the end, democracy depends on the political culture of the citizens and there is nothing legality can do to prevent eventual authoritarian deviations46. This criticism of the sovereign model should not be read as yet another manifestation of the liberal fear of the constituent power. It is not an argument in favor of a return to the Kelsenian conception of the constitution-as-norm, which would require strict adherence to the rules of amendment in order to attach legitimacy to processes of constitution making. Instead, it is meant to highlight the problems that emerge once the constituent power is activated and exercised under the assumption that any attempts to limit it through legal means and the participation of outside institutions are, by necessity, undemocratic. A highly participatory process of constitution making in which the citizens have a real chance to make significant transformations of the political regime is possible without having to adhere to the basic and risky assumptions of the sovereign model. To sum up: Colón-Ríos’ reformulation of the sovereign model is attractive for one main reason. 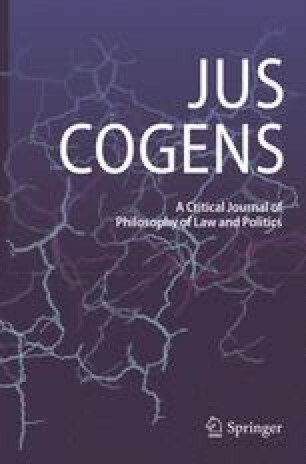 Contrary to the paradigmatic conception of the constituent power developed by Sieyès and Schmitt, he offers a normative theory of democratic legitimacy that takes seriously the importance that the principles of inclusion, pluralism, and active participation have in our contemporary political imaginaries. However, his insistence on the exclusion of legality as an instrument that can legitimately contribute to secure a place for these principles during exercises of the constituent power is what opens the gates for the eventual irruption of authoritarian forces seeking to erode democracy from within. Once it becomes evident that the sovereign model has little to offer after the constituent actors decide to turn away from the requirements of democratic legitimacy, an exploration of alternative conceptions of constitution making should become a priority. Andrew Arato’s recent work offers an attractive alternative. His post sovereign model shares with Colón-Ríos’ theory of constitution making a basic assumption: “namely the claim that ultimately it is those subjected to the law who should also be its authors”47. Also, both models adopt a conception of democracy that places great value on inclusion, pluralism, and popular participation. However, only in the post sovereign model do we find an attempt to provide an institutional framework through which the goal of preserving the locus of power as an empty place can be more realistically pursued. And, more importantly, the post sovereign model offers a suggestive way of thinking about legality as an instrument that helps coordinate the actions and expectations of a plurality of actors48 within a democratic process of constitution making that should, at least to a minimum degree, secure the conditions for the production of democratic results. Ideally, a post sovereign process of constitution making would look as follows. First, after the need for substantial constitutional change becomes fixed in the imagination of a given society, there would be a stage of negotiation between a plurality of groups from both civil and political societies following the model of the round tables developed in places like South Africa and, before that, in Central and Eastern Europe. These negotiations should generate an agreement on an interim constitution whose role would be to hold the process of constitution making to a set of rules accepted by all the parties to the negotiation. Now, this initial stage of negotiations can be problematic from a democratic point of view. Lacking electoral legitimacy, the round table negotiations can be objected as an undemocratic mechanism in which a self-appointed elite usurps the voice of the people. However, the idea at this first stage is precisely to avoid an electoral contest that, under the electoral rules of the regime that is to be replaced, might possibly reinforce the exclusion of those groups that are pushing for a more democratic constitutional regime. The objective of the round tables is to avoid the usurpation of the voice of the people by one segment of society. For this reason, the interim constitution should be the product of consent, not the majoritarian imposition of an electoral victor49. As a consequence, this interim constitution in which the guidelines for the conformation and functioning of an eventual constitutional assembly are established, should adopt a set of electoral rules based on the principle of proportional representation to assure a plural and inclusive composition of the popular will50, and provide for the institution of constitutional review in order to maintain the process within the basic principles agreed by the parties51. Yet, the interim constitution does not become binding by itself. In order to provide it with a greater degree of legitimacy, the interim constitution should – if possible – be made legal by the very institutions of the regime that is soon to be replaced52. Legality, it is well known, is also an important source of legitimacy53. Therefore, it is desirable to avoid unnecessary breaks with legality that might eventually return to undermine the legitimacy of the process. This is perhaps one of the most telling lessons of the European revolutions of 1989. In these countries took place “a process of repeated amendment of the old constitutions according to the prescribed procedures by majorities of the people’s deputies elected under the old system”54. The existing rules of amendment can be used to sanction the round table agreements and shield the process from eventual challenges on the ground of its illegality, and outcome in which those pushing for change should be heavily invested55. The second stage of the post sovereign model is that of electoral competition. At this point, the old constitution is no longer in force, but that does not mean that a revolutionary hiatus has taken place. From now on, the interim constitution will control the process. And it is at this point when the initial legitimation problems of the round tables are compensated for through the call to a free and fair electoral process in accordance with the rules negotiated by the parties. Democratic legitimacy, to a great extent, resides in the electoral system56. However, strictly majoritarian systems tend to increase the decision-making capacities of majorities at the expense of the right of representation of significant parts of the citizenry57. But given the context of plurality and inclusion that is made possible by the non-electoral logic of the round tables, there is a very good chance that the rules adopted for the elections will follow the principle of proportional representation, and facilitate the composition of a constitutional assembly that will not be entirely under the control of an exclusive majority with the power to silence the polyphony characteristic of modern societies58. The third stage of the post sovereign model, therefore, will give place to a more familiar picture of what it is to democratically make a constitution. The final constitution will be the result of the deliberations, compromises, and actual political power of the parties within the assembly. But contrary to the constituent assemblies of the sovereign model, in this case the assembly will be limited both internally and externally59. Internal limitations within this model are the result of the distribution of political power made possible by the adoption of the electoral principle of proportional representation during the pre-assembly negotiations. Under this electoral system, it will be more difficult for any given party to gain the necessary seats in the assembly to decide the fundamentals of the political regime by themselves. Compromise and negotiation, therefore, will assume a central place in the political dynamics of the assembly. But the most important characteristic of this stage in the process is the presence of external mechanisms of constraint. Within this model, courts find a place as significant constituent actors. Invested with the legitimacy that results from the will of the different parties to maintain the process within the limits of what was agreed during the pre-assembly negotiations, courts become an additional instrument of control in charge of policing the attempts of the assembly to deviate from the basic agreement consigned in the interim constitution. As the case of South Africa shows, the exercise of the constituent power is not necessarily incompatible with the participation of courts as guardians of the democratic character of the constitution making process. In fact, the participation of the courts during this final stage of the process can even make unnecessary – though still possible – the ratification of the constitution by means of a referendum. Contrary to the deliberative deficit of referenda, the institution of constitutional review provides the assembly with the opportunity to learn from the inputs of external participants such as courts and improve the constitutional text in accordance with their objections60. The post sovereign model, in this idealized presentation, offers a completely different way of conceptualizing constituent assemblies. They are no longer conceived as the embodiment of popular sovereignty; they are only one more instance within a complex process in which a plurality of actors and institutions interact to construct a more complete picture of the popular will. In fact, by remaining always under the law, these assemblies cease to have a constituent character and, instead, become constitutional assemblies. This is also evident in the normative prescription of this model to maintain the functions of the assembly limited to the task of constitution making, avoiding in this way the temptation to engage in acts of government and ordinary legislation for which the assembly is not wholly prepared and which could undermine from the beginning the establishment of a constitutional order respectful of the separation of powers61. In sum, the post sovereign model seeks to ensure that none of the actors and institutions that participate in the process can claim to have absolute powers to make and remake the constitutional order under the excuse of a supposed mandate from the people to do so. This model, therefore, is extremely skeptical of the democratic potentials of the concept of “the people”. Contrary to the historical manipulation of this concept by the different representatives of the sovereign paradigm, the post sovereign model insists on the inadequacy of the idea of popular sovereignty without first recognizing that without the continual affirmation of the principle of legality the process of formation of a society’s collective will can hardly be achieved, at least not in a way that yields democratic results. However, the post sovereign model is not without its problems. It can also go wrong, as the reversion of Hungary to a form of illiberal democracy clearly shows62. But the most significant obstacle for the adoption of this model as a democratically sound alternative to sovereign constitution making is its path-determined character63. The historical experiences through which this paradigm of constitution making has been constructed, i.e. Spain, Central and Eastern Europe, and South Africa, are all cases of transitions from strong forms of authoritarianism to democracy. It would seem, therefore, that the relevance of this model is limited only to such cases and does not apply, for instance, to processes of constitutional change in countries that are already democratic, even if to a minimum degree. In its paradigmatic form, the post sovereign model begins with a situation in which the inability of an authoritarian regime to reform itself gives place to a crisis of legitimacy that forces those in control of the government to negotiate with the opposition. Normally, round table negotiations are the result of a political impasse generated by the relative balance of power between the regime and its social and political opposition: the government is not strong enough to assert its will but the opposition is also not strong enough to depose the government. In situations like these the illegitimacy of the regime becomes evident. But, why would a democratically elected government enter negotiations over the future of the constitution with political actors not yet invested with the electoral legitimacy of those in power? Is it realistic to assume that political actors with overwhelming electoral support will ever surrender their power to make and remake the constitution in order to include other voices in the process of political will formation? It seems, then, that the post sovereign model requires a very specific mix of political circumstances if it is to have a chance to guide the process of constitution making. Absent the balance of power conducive to pluralistic and inclusive negotiations, the possibilities of a post sovereign process of constitution making will depend entirely on the willingness of those in control of the means of violence to introduce the institutional arrangements necessary for the production of democratic legitimacy. Just as in the sovereign model, this is a situation that depends entirely on the good faith of political actors. Post sovereign processes of constitution making, therefore, cannot be engineered. The presence of a charismatic democratic leader, like Mandela in South Africa, might eventually contribute to convince electoral victors to abstain from remaking the constitution unilaterally, but this will rarely happen64. However, as the case of Colombia demonstrates, clear majorities do not always control constitution making processes. It is possible to activate the constituent power within a context of electoral uncertainty in which the parties will be more willing to engage in negotiations to minimize the risks of an eventual electoral loss65. Such a situation will increase the chances of an agreement between political actors willing to structure the constitution making process in accordance with the democratic principles of inclusion, pluralism, participation, and legality at the heart of the post sovereign paradigm, even if the different stages of the idealized model are not followed to the letter. Finally, a few remarks are necessary to respond to an important question posed by a recent reviewer of Arato’s work: “can and should the post-sovereign perspective play any role at the level of normal, constitutional practice, when the meanings and effects of a constitution are being determined?”66 Arato offers an answer to this question in his last book: he argues that there is an elective affinity between the post sovereign model and the adoption of democratic and constitutionalist constitutions67. In this sense, the post sovereign logic of the constitution making process can also continue during ordinary political moments in order to secure the empty space of power once a constitution has been adopted. He claims that the post sovereign model is likely to yield constitutions that embrace institutional arrangements that help prevent the emergence of forms of abusive constitutionalism. This is the case of such institutions as strong constitutional review, proportional representation, and bicameralism. While the sovereign model tends to produce constitutional regimes that concentrate excessive power on the executive, the post sovereign alternative is more likely to diffuse power and protect the principles of pluralism and inclusion at the heart of our contemporary democratic sensibilities. He also claims that multi-track rules of constitutional change under judicial supervision are likely to emerge from this model of constitution making. When taken all together, the institutions adopted by the constitutions that derive from the post sovereign model help ensure that the democratic politics of a given society do not deviate into forms of authoritarianism. In this way, the post sovereign logic of denying absolute powers to any single political actor finds its way into the realm of ordinary politics and shows its relevance for those committed to the protection and strengthening of democracy. It is not possible to engage in processes of constitution making while taking either one of these two models as guidelines for political action that have to be followed to the letter. The practice of constitution making is highly dependent on context. However, Arato’s critical analysis of the sovereign and post sovereign models makes a powerful argument for a more serious consideration of the potentials of legality to guide processes of constitution making in a democratic direction. This is one the greatest advantages of his post sovereign paradigm: it invites us to learn from the history of the dominant model of sovereign constitution making in order to show that the commitments of someone like Colón-Ríos to the principles of inclusion, pluralism, and participation, have a greater chance at materializing once the theory and practice of the constituent power is separated from traditional conceptions of popular sovereignty in which legality plays no role. By elective affinity Arato refers to the logical links between a model of constitution making and a set of likely consequences derived from its practice. He accepts that a causal link between these models and the consequences he attributes to them can only be fully demonstrated by means of large N methodologies including more cases than the ones he studies in his books. Arato 2017, p. 366. However, he believes that these large N studies should avoid excessive formal analysis; they must include comparisons of specific case studies that pay more detailed attention to history. Arato 2016, p. 299. On the intellectual history of the sovereign model of constitution making, see Arato 2017, Ch. 1. As in Bodin 1992, I: VIII. On this inversion, see Schmitt 2008, p. 102. See, for instance, Preuss 1995, p. 19. As Arato rightly notices. See, Arato 2016, p. 291. Perhaps this is why Arato claims that Colón-Ríos “seeks to establish revolution as permanent”. See Arato 2016, p. 9. However, it is not entirely right to read the work of Colón-Ríos as a continuation of Negri’s theory of a permanent revolution. His is not an argument for the constant mobilization of the constituent power, but for a constitutional regime that facilitates its activation and execution when the time comes. On this, see Colón-Ríos 2011. Id., p. 88. This is an important difference between Sieyès and Schmitt, and Colón-Ríos follows the latter’s radicalized conception of the constituent power in this regard. Sieyès conceived of the constituent assembly as a body of extraordinary representatives that once elected substitutes the nation as holder of the constituent power. See Sieyès 2003, p. 139. Schmitt, however, understood representation as an antidemocratic mechanism that deprives the people of the opportunity of saying the last word on the adoption of a new constitution. See Schmitt 2008, p. 128. On the influence of Rousseau’s political theory on this model of constitution making, see Colón-Ríos 2016. See, for instance, Bernal 2014. See, for instance, González 2017. Urbinati and Warren 2008, p. 398. See, for instance, Urbinati 2000, p. 761. As Arato rightly points out, even though Colón-Ríos makes an interesting normative case for the adoption of an electoral rule based on the principle of proportional representation, he fails to see that such a rule is more likely to be produced during the pre-assembly moment of inclusive negotiations typical of the post sovereign model. Arato 2016, p. 298. See also his comparison of the Colombian and Venezuelan constitution making episodes. Arato 2017, p. 310-327. On the role of internal and external mechanisms of constraint, see Issacharoff 2007, Landau 2013, and Negretto 2013. On this, see Negretto 2013, Ch. 6.